Chris Brown has asked for his name to be taken off the potential list of winners, it has emerged. 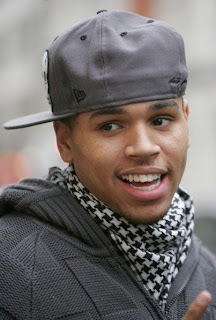 19-year-old Brown, was up for both favourite male singer and song at the Nickelodeon's Kids' Choice Awards to be held on 28th March 2009. However, an online petition was made for his name to be withdrawn after 100,000 signatures were collected in three days. As everyone well knows, Brown was arrested last month (wow was it that long already?) after a row with his girlfriend, Rihanna. 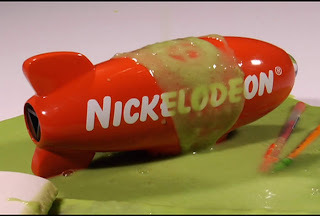 Nickelodeon has offered its support in the decision to keep Brown in the award ceremony, spokesman Dan Martinsen said, "Chris Brown was nominated by kids several months ago based on his body of work as performer, and the kids who vote will ultimately decide who wins in the category." However, Brown's spokesperson said the singer appreciated the nominations but felt, "the incident last month has shifted the focus from the music." Chris Breezy & RiRi in happier times..
What do you think? Should Chris still be nominated regardless of the incident that occurred or did he make the right decision to withdraw from the award show? Discuss! So Chris is down on his luck at the moment...but what about dear old Mikey J?? He himself has been involved in a fair few controversies...but they are all forgotten as soon as his "last ever UK tour" is announced. Has everyone forgiven and forgotten the child abuse allegations, or are people just acting from a selfish viewpoint to grab their own bit of pop history? Maybe if Chrissy B had just waited till the end of his career to hit (allegedly) his girlfriend, maybe those petition signing fans would have thought twice before having him removed from the nominees. I'm not saying that the petition shouldn't have got so many signatures, but maybe there would have been a few less names on there if the fans weren't so sure that they'd see Chris Brown picking up the award next year instead!